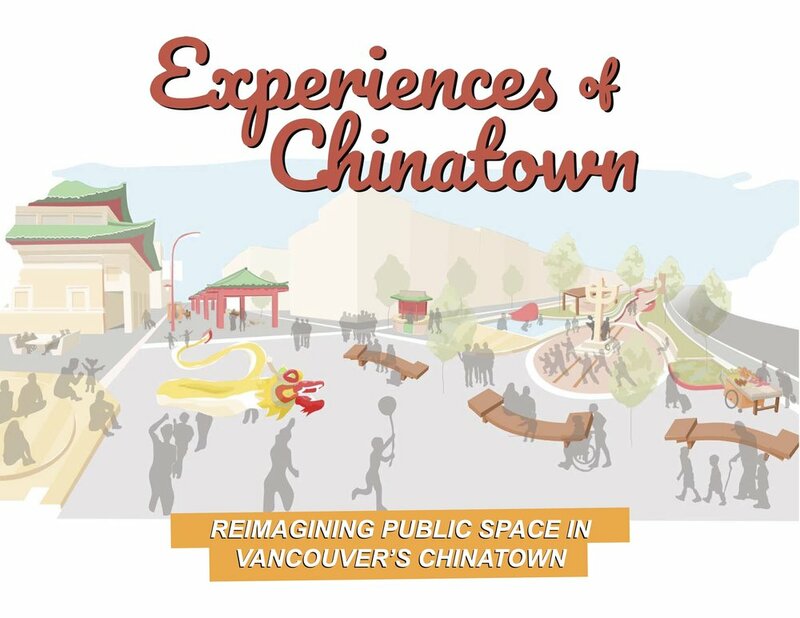 Summer 2017: Our exercise in public space-making was conducted at the geographic and cultural heart of Chinatown at Keefer and Columbia Streets surrounding Memorial Square. Two pop-up street closures invited people to enjoy and help reimagine this area through a community-led design process by young graduates of the UBC School of Community & Regional Planning. Funded by a City of Vancouver VIVA Refresh grant. Our project responded to the community call for re-design of Memorial Square, as proposed formally within the Historical Discrimination Against Chinese People in Vancouver report to Council, as well as to grassroots efforts over the fate of the adjacent development site at 105 Keefer. LEARN MORE through the project report that includes a proposed design concept (shortcut/preview below). With methodology and data via Appendix. The resulting design concept for Keefer and Columbia, based on experiences of Chinatown that people shared with us and which are unique to the neighbourhood. Site Analysis shows huge potential!